Celebrate the 40th Anniversary of UNO® on 1/11/11 with Limited Edition $1 Retro Card Games and $1 iPhone Applications | Mattel Inc.
UNO® has a Happy Birthday on Tuesday 1/11/11 with a special "UNO®" promotion! 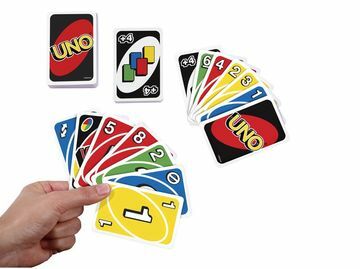 For a limited time only, while supplies last at participating retailers, UNO® fans nationwide will be able to purchase an iconic UNO® Retro Card Game for only $1! The ultra popular UNO® iPhone and iPad applications from Gameloft will also be available for the special anniversary price of $1 (1/11/11 only). Created by a barber shop owner in Ohio in 1971, UNO® is America's No. 1 card game brand1 and is available in more than 80 countries throughout the world.